Dashwood vinyl windows come standard with white interiors and exteriors. Choose from the optional exterior colours shown. *Colours shown here may vary from actual application due to uncontrollable factors such as the lighting in your room and monitor settings. Custom colours and interior finishing is also available. 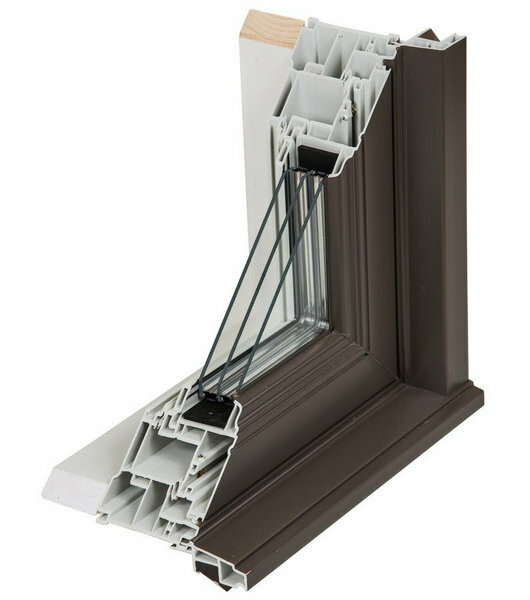 Dashwood windows with optional colours feature a revolutionary coating specially formulated for vinyl that is designed and tested for superior performance in all environmental conditions to resist peeling, flaking and chalking. 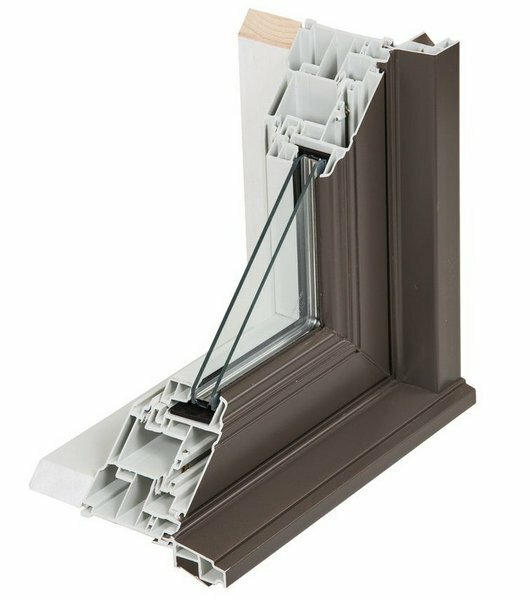 Dashwood windows feature insulating glass manufactured by Cardinal Glass Industries, a leader in the development and manufacture of advanced residential glass for windows and doors. Choose the glass that best suits your situation and objectives. A little added insurance for your new window investment.  This optional removable protective film is applied to the exterior and interior glass surfaces at the factory to shield the glass from unwanted debris and scratches during shipping, handling and installation. Peels away when the job is finished to reveal clear unblemished glass. 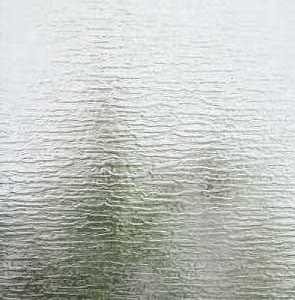 A special titanium-dioxide coating applied to the glass exterior reacts with the sun’s UV rays to loosen the bond of organic material to the glass surface. Dirt is easily rinsed away with rain. The extremely smooth surface of Neat Glass sheets water away promoting faster evaporation and reduced water spotting resulting in cleaner, clearer glass. Optional in Dashwood windows. Includes Preserve™ protective exterior film. 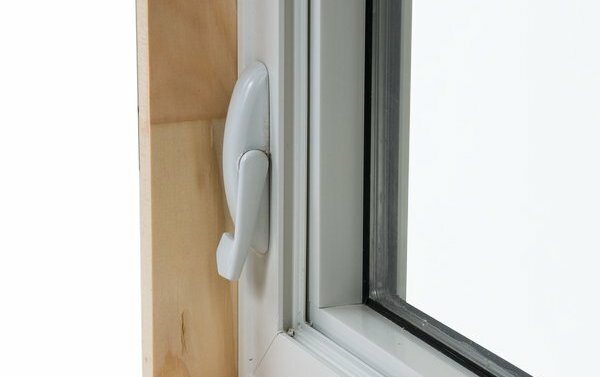 Standard Truth Encore® operating hardware features an attractive “full flip” handle that neatly nests in the operator cover for clean appearance that won’t interfere with window coverings. Requires 33% less effort to open and close compared to the standard hardware. 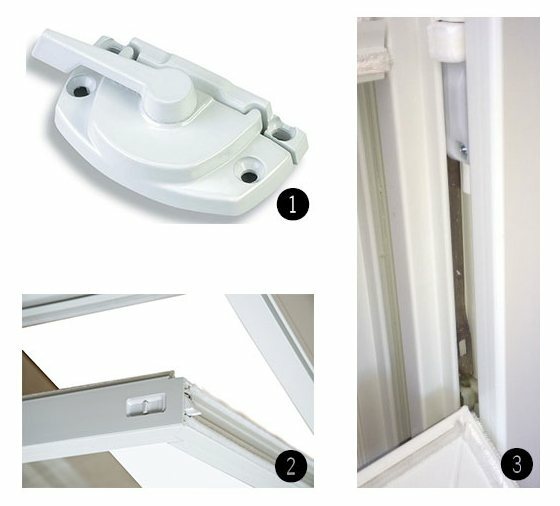 Standard casement and awning locking and operating hardware comes with white or black finish. Traditional Double-Hung style windows feature upper and lower sashes that slide up and down for ventilation. Both sashes tilt inward for easy cleaning. Cam-Action Lock and Keeper – work in conjuction with interlocking meeting rail, pocket sill design and weather sealing system for weather-tight security. Available white or black finish. 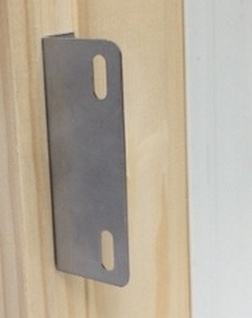 Recessed Tilt Laches – finger activated latch release locks allow sash to swing inwards for cleaning; recessed for a clean interior appearance. 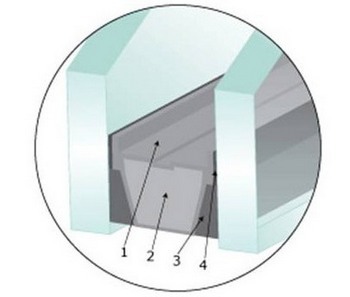 Constant Force Coil Balance System – concealed within the frame, each coil balance is gauged for the specific sash size and weight; requires less effort to raise and lower the sash compared to other spiral balance systems. Dashwood windows are available with grille and divided lite options in a number of standard patterns and custom configurations. 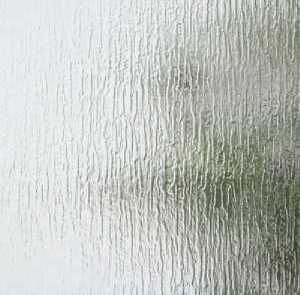 Permanently sealed inside the insulating glass for traditional appearance and easy cleaning. 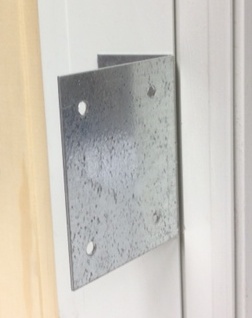 Choose from flat or contoured profiles in widths shown. Grille bars are permanently applied to the interior and exterior glass surfaces to create the look of individual true divided lites while maintaining the energy efficiency of modern insulating glass. Add an optional spacer between the glass for an even more authentic appearance. 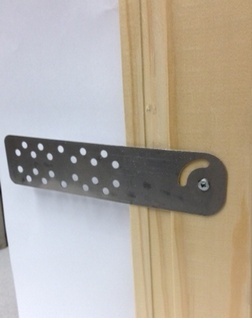 Interior jamb extensions are available factory applied or loose to suit wall dimensions of 4-5/8”, 5-5/8”, 6-5/16”, 7-7/8” and 10-1/2”. Custom dimensions are also available. Choose from these material types. A selection of exterior brickmould profiles are offered for use in conjunction with exterior masonry or siding applications. 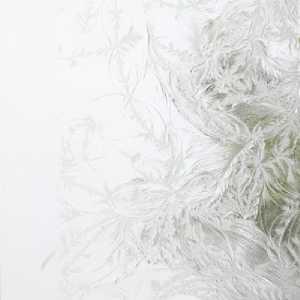 An authentic sillnose is also offered for an architecturally correct appearance. 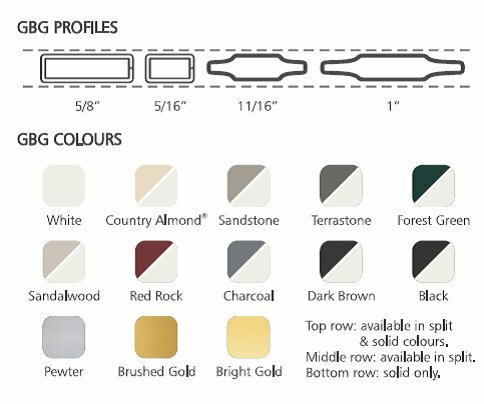 Exterior accessories may be colour coordinated to window exteriors or a different colour can be specified for a custom 2-tone appearance. Standard screens feature charcoal fibreglass 18 X 16 mesh in aluminum frame with wide surround frame with concealed fasteners on casement and awning windows. 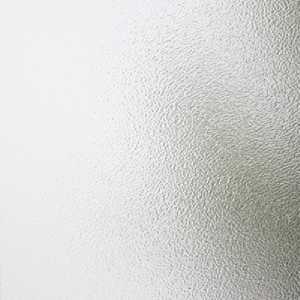 Optional Clearview screens feature fine gauge 20 X 20 fiberglass mesh for greater visual clarity. Screen frame colour is coordinated to the interior colour on casement and awning and to the exterior colour on hung and gliding windows.